I spent my last two dives in Australia searching for leafy seadragons, but unfortunately couldn't find any. Regardless, it was good to see the diverse types of habitat that leafy sea dragons typically use and how these are comparable and different to what weedy seadragons prefer. 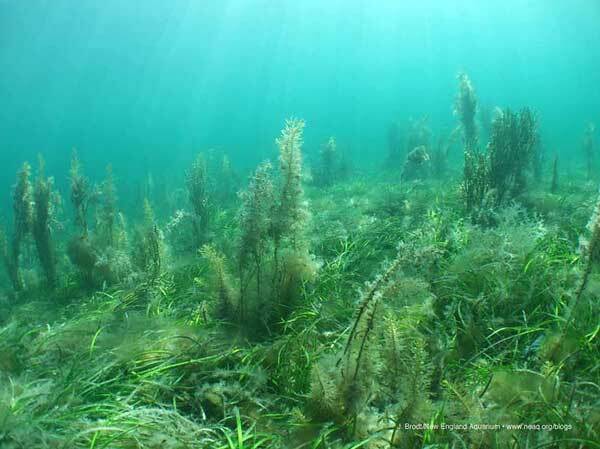 For example, leafy seadragons tend to hang near these long pieces of algae above large mats of sea grasses whereas the weedy's I saw tended to prefer to be where the sandy patches meet the sea grasses. As I previously mentioned, regardless of whether or not you see seadragons the diving here is always spectacular. The temperate waters of southern Australia may not get the recognition that the tropical reefs like the Great Barrier Reef does, however, the colors and diversity of fish, invertebrates, and algaes are absolutely magnificent. #20: First sightings of leafy seadragons!